Think Emma Stone’s Tiffany earrings which perfectly complement her beaded column dress, classic wave hairdo and red lipstick. These Swarovski crystal drop earrings provide Oscar-style bling to accompany similarly elegant column dresses for your Spring wedding or black tie event. 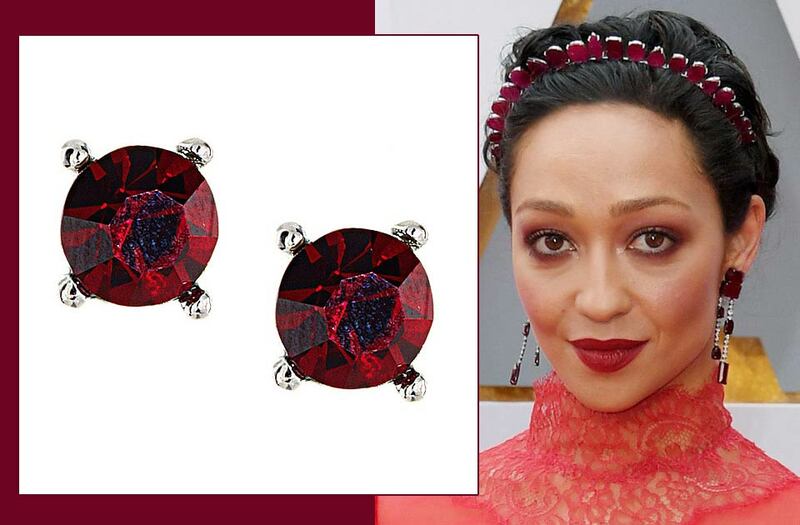 Meanwhile Ruth Negga, Best Actress nominee opted for a statement headpiece featuring responsibly sourced Gemfield’s rubies and matching earrings. If Mozambique designer rubies are out of budget then why not check out these stunning ruby crystal stud earrings to give you an Oscar-worthy look at a fraction of the price. 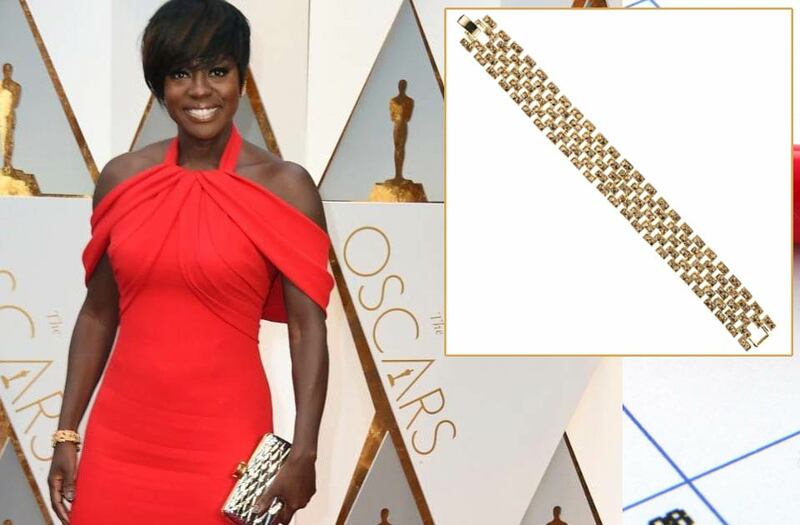 For Supporting Actress nominee Viola Davis it wasn’t about who she had on her arm but what she wore on her wrist. The gorgeously discreet yet expensive metallic touches set off her beautiful red dress and bob. If like Viola you opt for an of the moment, off-the-shoulder dress in a bold colour have a look at this gold bracelet or a cuff to set off your look.